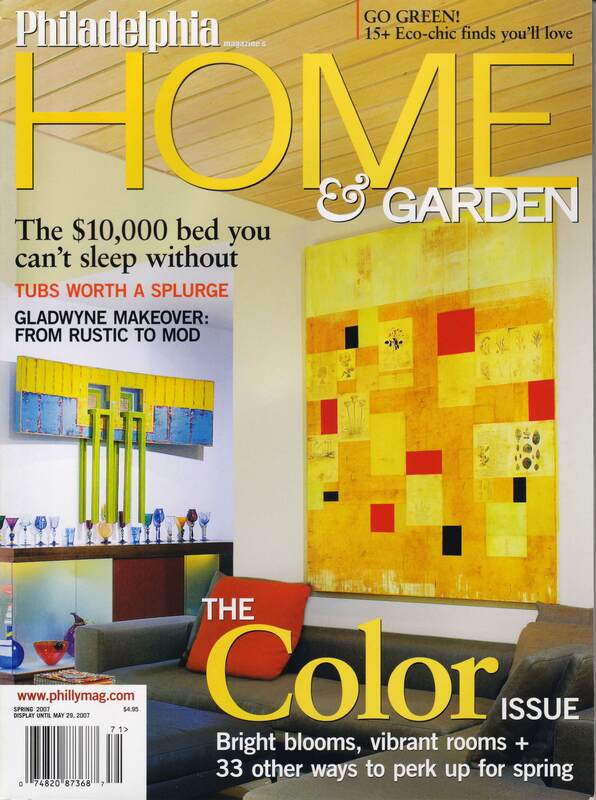 In September 2013, Elegant Interior Designs will celebrate 10 years in business! It has been an amazing ride with both challenges and triumphs. Thanks to loyal clients, family, friends and technology for your support. Below is a brief look back on a few milestones from the last 10 years. 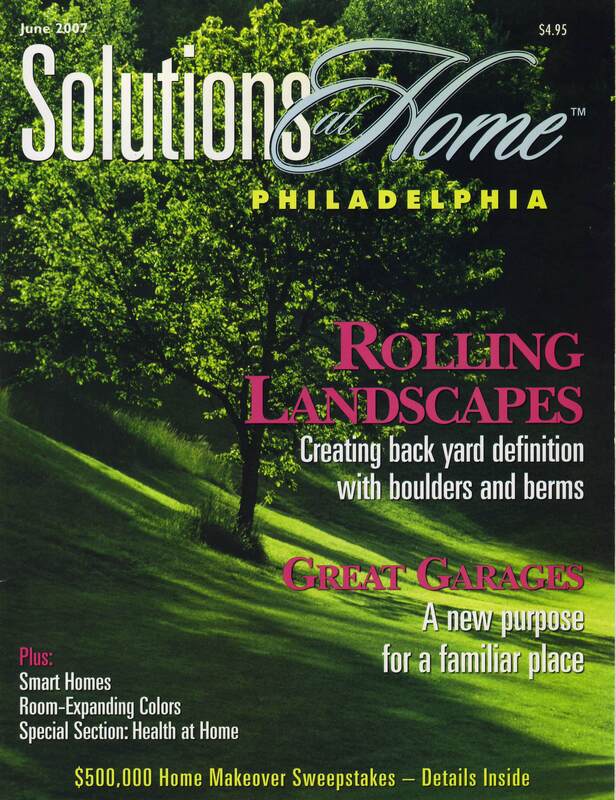 In 2003, I officially opened the doors to Elegant Interior Designs and began solving your interior design dilemmas. 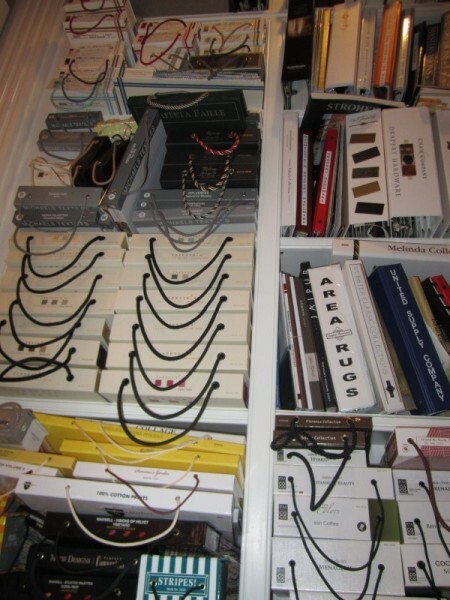 Since then I have built an amazing library of fabrics and samples in my design studio, allowing my clients to see and feel the fabrics and trims for window treatments, pillows, furniture and more. 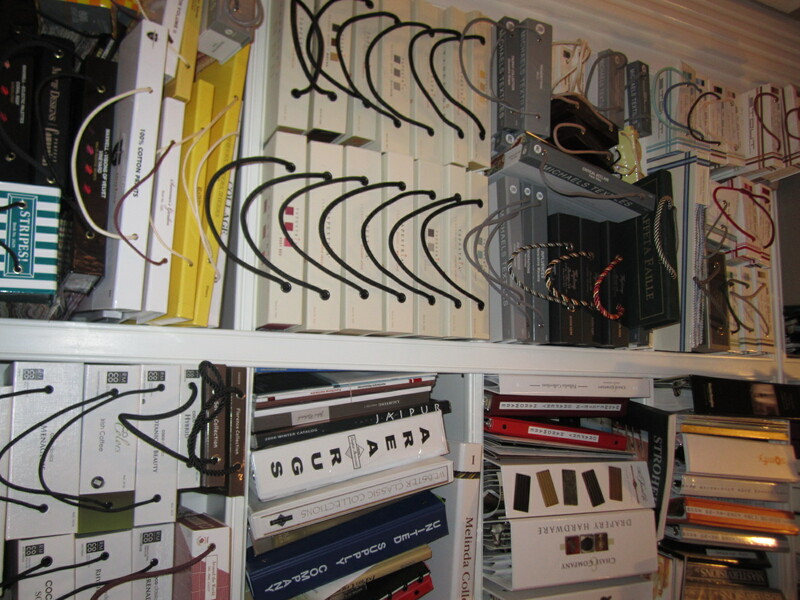 Today the samples are available and fill the floor to ceiling bookshelves in my design studio, see photo to the left. Technology has had a huge impact on my business personally. In 2011, my website had a complete overhaul, www.elegantinteriordesigns.com and I started a Design Blog. My goal is to stay connected with my clients and prospects, offering ideas and inspiration to transform their house into a home. I utilize Social Media extensively and now have a presence on Facebook, LinkedIn, Twitter, Pinterest and Houzz. We have a window design software program that allows you to preview your treatment selection before it is made and installed. Learn more about this window treatment service. Attending High Point Market in North Carolina is like the Fashion Week of the fashion world and NYC’s Architectual Digest Home Design Show 2013. I have also visited places in Canada, Europe and NYC where I was able to source amazing one of a kind options for my clients from antiques to ultra modern design peices. Keep an eye on the blog for photos and stories from my travels. In my networking efforts I have met some amazing referral sources, clients, friends and industry professionals. Currently, I’m on the Board of Directors of NARI and Chair the Programming Committee; also a proud supporter of the following organizations over the last 10 years: IFDA – International Furnishing & Design Association, WCAA – Window Coverings Association of America, and Women’s Philanthropy – Jewish Federation of Greater Philadelphia, also a Board Member. A few of my designs have received attention from the media, international industry magazines and even won awards. You can read all about it in our NEWS section or go right to the award blogs for the COTY Award and the IDA Award. Looking back it has been an amazing 10 years! A warm heart felt THANK YOU goes out to each of you for your support, encouragement, business, referrals, social media LIKES, comments and for reading this post, without you I would not be here today. I look forward to what the next 10 years will bring. 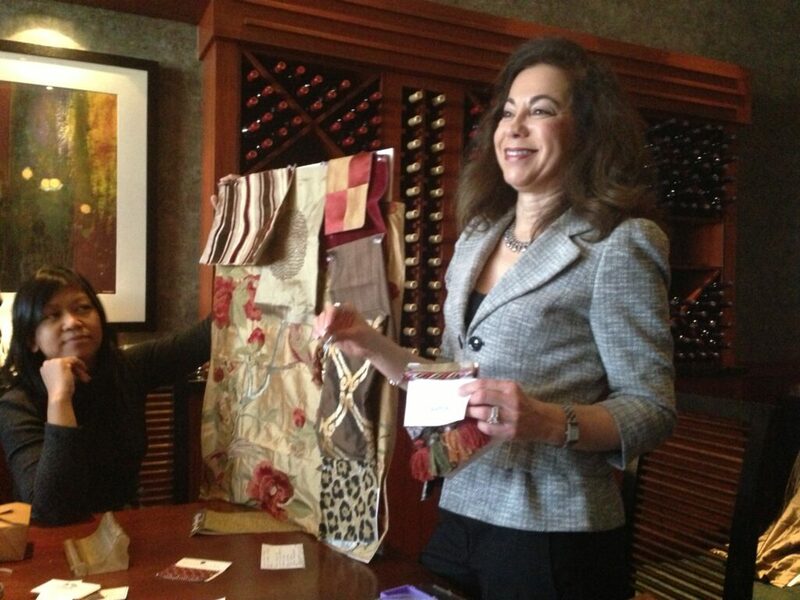 Pamela Kofsky owner and designer of Elegant Interior Designs was a guest speaker at WPN, Women’s Professional Network. 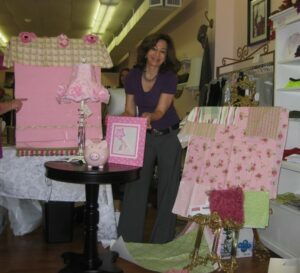 Pam presented on “How to Create a Room with Pizazz” to a group of professional women in February 2013. 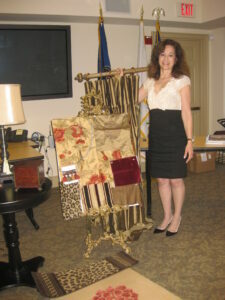 Pam decided to add pizazz to the presentation by making the presentation interactive and hands on. Pam started the presentation with a blank foam board. 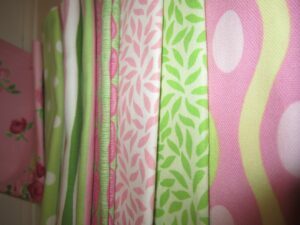 She added fabrics, trims, wallpapers and paints to create a variety of pallets for a master bedroom, sitting room and bathroom design. Here were the 3 steps Pam suggested for the women looking to create a room in their home with a little pizazz. Start with inspiration or an idea. For Pam’s demonstration purposes she chose the Chinese floral print and built the board around that design pattern. 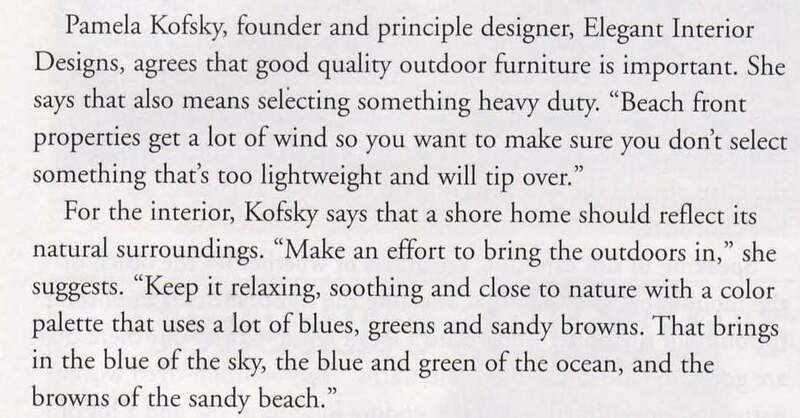 After you have found your inspiration you want to think about how you want the room to feel. Do you want a warm and cozy, cool and contemporary or functional and fun? If you are not sure or still looking for inspiration try sourcing photos or styles from a magazine, Pinterest or HOUZZ.COM for ideas. Once you have decided on the feel of the room you will need to know how you want to use the space or layout? You can have a professional floor plan drawn to scale to show how the furniture and seating areas will layout or you can try to pre-plan with your own sketch, but it might not turn out as well. If you decide to hire a professional interior decorator they will assist you in taking the inspiration, the feel and layout and pull it together. 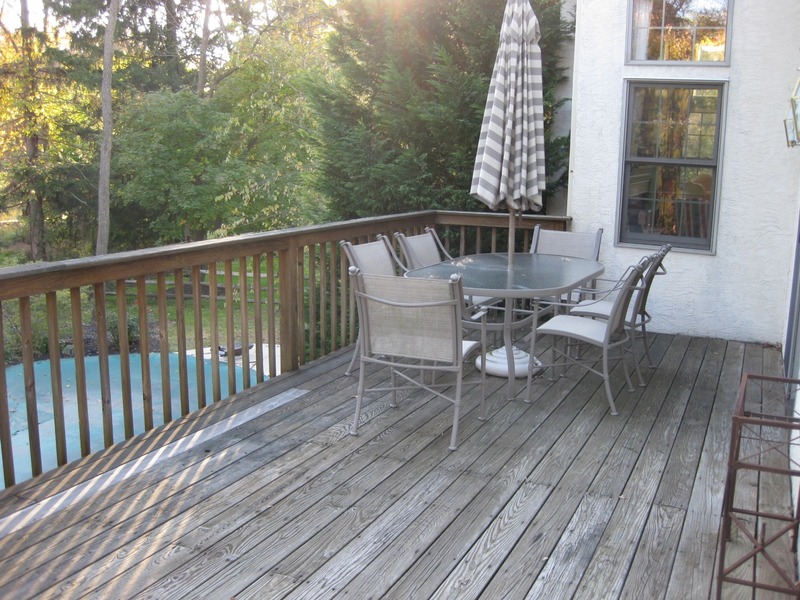 Often times homeowners will create Pinterest Boards of what they like prior to starting a project and share it with their designer to get the best possible look at the right price! A decorator will also coordinate the project so that the furniture, flooring, multi levels of lighting (include ambient, accent, task and decorative lighting), window treatments and accessories create the most impact in completing your look. 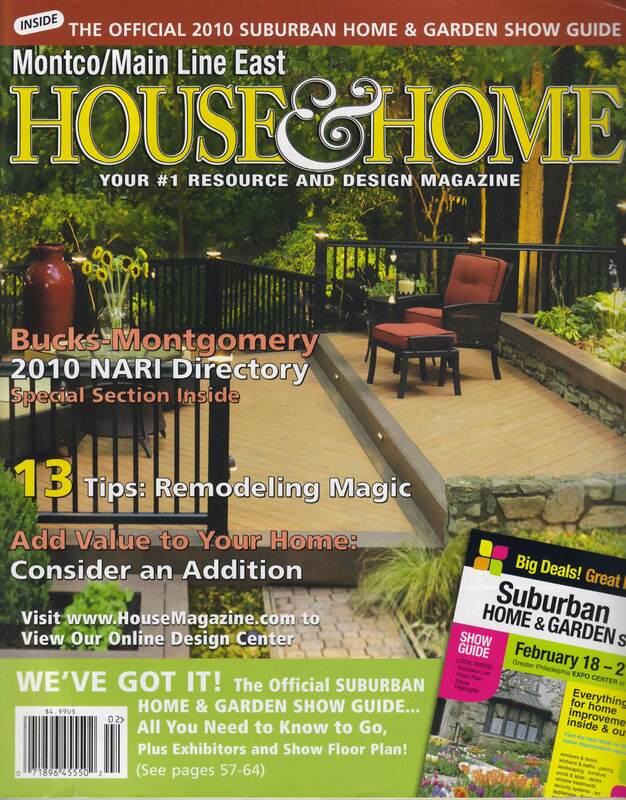 Elegant Interior Designs was featured in the May Issue of Mid Atlantic Real Estate Journal, www.MAREjournal.com. 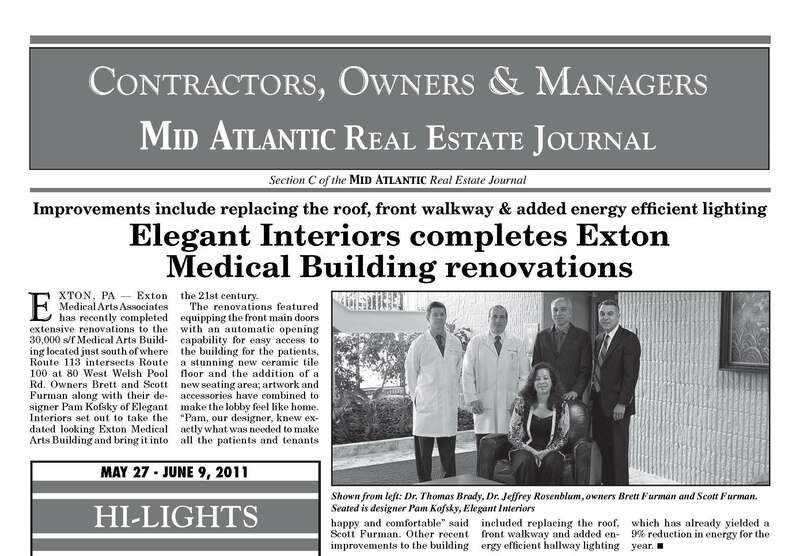 The article featured her corporate interior design work for Exton Medical Arts Associates renovations in Chester County, PA. 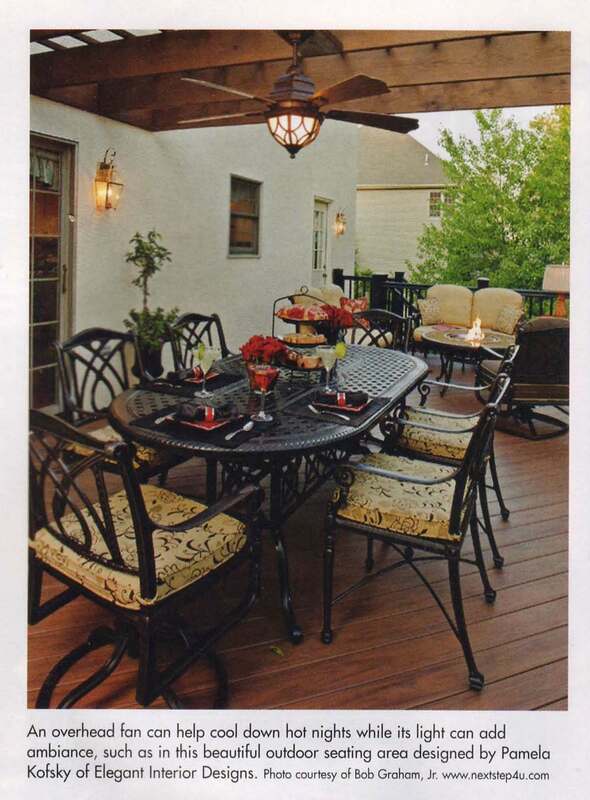 Elegant Interior Designs, Named Local Winner in the 2011 Contractor of the Year Awards sponsored by the National Association of the Remodeling Industry! 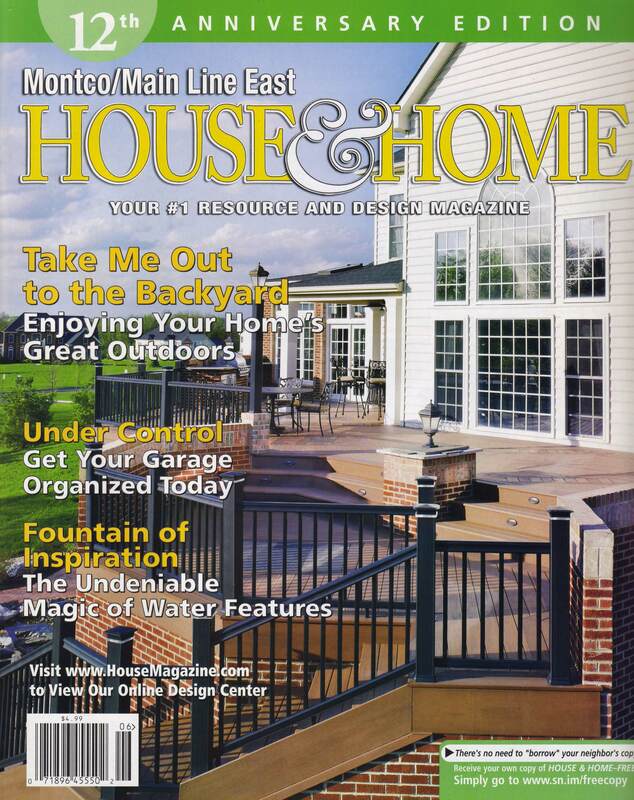 January 29, 2011 – Manor House, Horsham, PA — Elegant Interior Designs of Ambler, PA, wins the 2011 Meritorious Contractor of the Year Award in the Residential Exterior Specialty category. 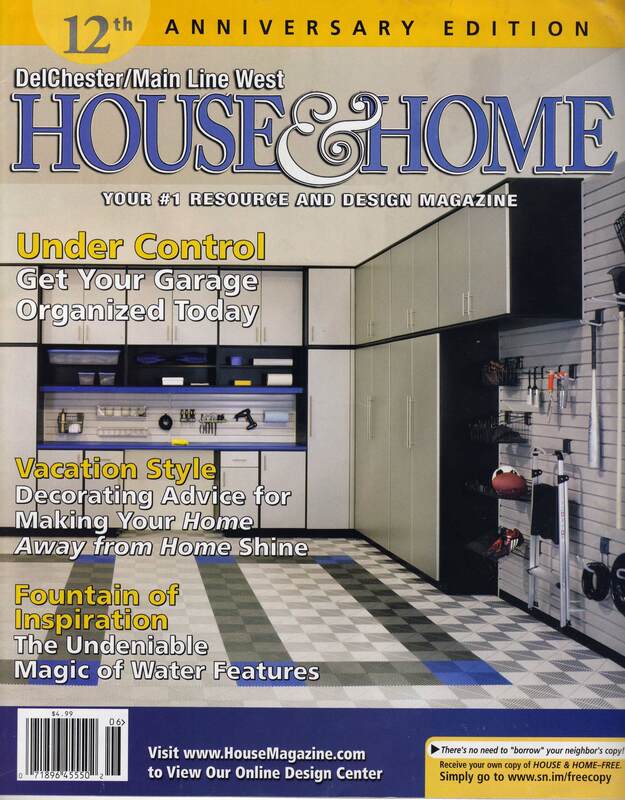 Awards are part of an annual competition held by the National Association of the Remolding Industry (NARI) that showcase members who have demonstrated outstanding work through their remodeling projects. 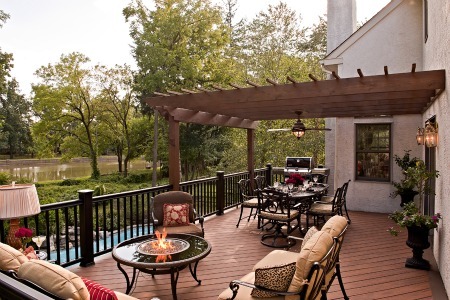 The Contractor of the Year (COTY) AWARDS IS WIDELY CONSIDERED THE PREMIER COMPETITION OF ITS KIND THROUGHOUT THE REMODELING INDUSTRY. To be considered, a company must be a NARI member and adhere to the NARI strict code of ethics. NARI members represent an exclusive group from the approximately 800,000 companies and individuals in the U.S. identifying themselves as premier remodelers and builders within the industry. An impartial panel of judges, who are considered experts within the industry and associated fields, selected winners based on each entrant’s “Before and After” photography and project description. Judging was based on problem solving, functionality, aesthetics, craftsmanship, innovation, degree of difficulty, and entry presentation. 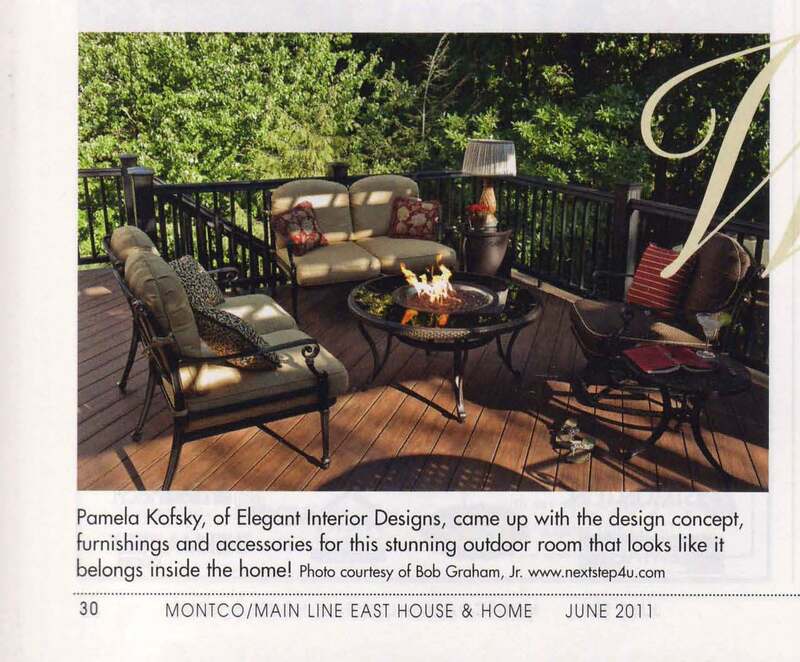 Pamela Kofsky, President, states that she is “honored and excited to be recognized by such an elite organization.” Elegant Interior Designs winning entry began with a run down, poorly utilized, dysfunctional deck that was overhauled to create a stunning outdoor living space, complete with conversational seating area, fire pit, dining and cooking area and pergola. Say good bye to your traditional powder room or hall bathroom. 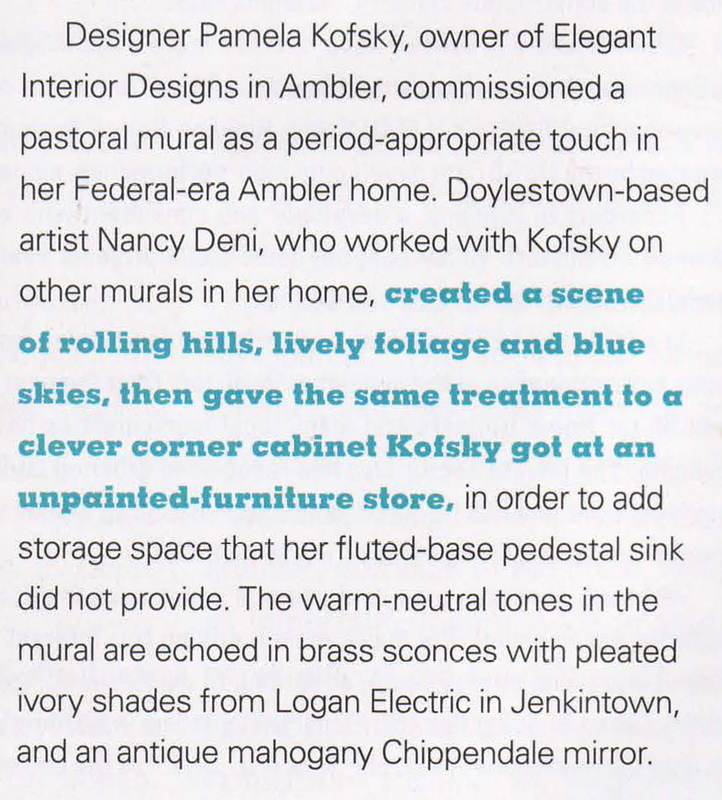 Elegant Interior Designs was featured in Philadelphia Home & Garden Magazine for Lesson #3 – Treat your Walls as Art.” Founder Pamela Kofsky discussed her powder room transformation by commissioning a mural on the walls.